Want to know a secret about my childhood? 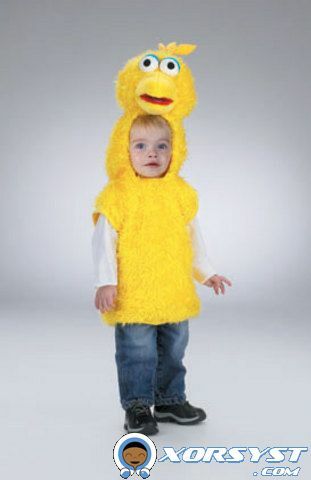 I was so afraid of Big Bird from Sesame Street when i was younger. I remember a childhood friend saying he was too big to eat bird seed, so he ate kids instead. I seriously was so scared of that 8 foot bird. Luckily I didn’t have any older siblings with a morbid sense of humor. I can only see them dressing me like that to have me running around thinking Big Bird was chasing me. Big Bird robbed me of my enjoyment of Sesame Street. Sigh. Childhood. Well I was checking out TV In Japan, and saw a video that for a second or two made my heart drop and dug up bad memories. Big Bird was at it again, but this time he was terrorizing Japan! Well not terrorizing. More like just annoying people. Is FOX trying to capitalize on the growing anime market with these live action adaptations?